Eating caviar doesn’t have to be a black-tie affair. 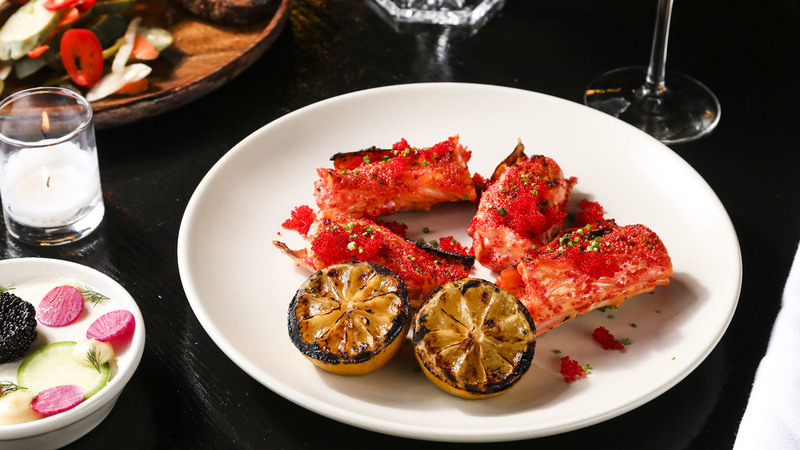 Three Chicago restaurants are making the delicacy approachable. 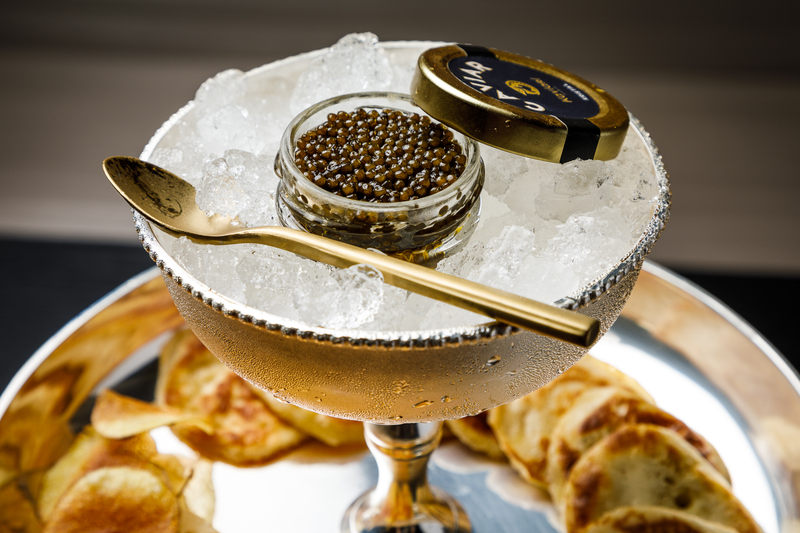 Caviar: The trisyllabic word conjures images of grandeur, opulence—and exclusivity. When it was announced that the low-key Humboldt Park would host a bonafide caviar bar, reactions were understandably mixed. Of course, that didn’t stop Heritage Restaurant & Caviar Bar from opening at the corner of Chicago and Washtenaw Avenues at the end of the summer. 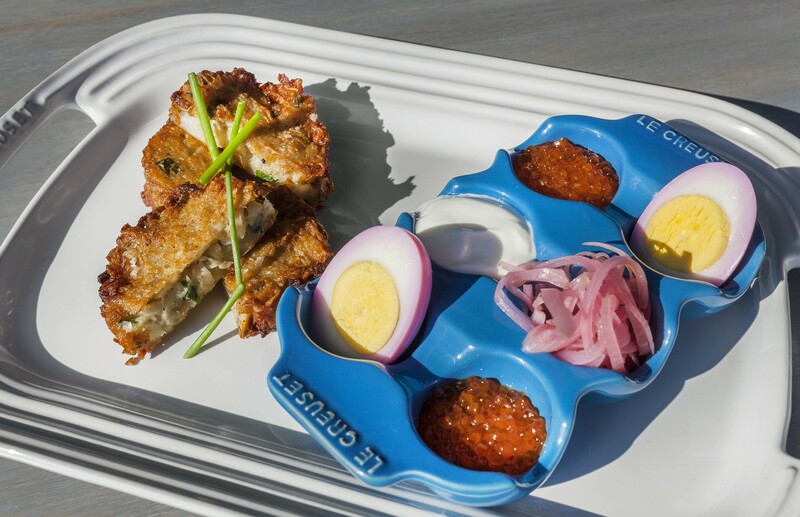 Heritage executive chef and president Guy W. Meikle wants to let you in on a little secret: Fish eggs don’t have to be scary. In fact, they should be fun. His lived-in, light-filled space is devoid of ornate chandeliers, white tablecloths and unpronounceable menu items (heck, you can even order curly fries à la carte). 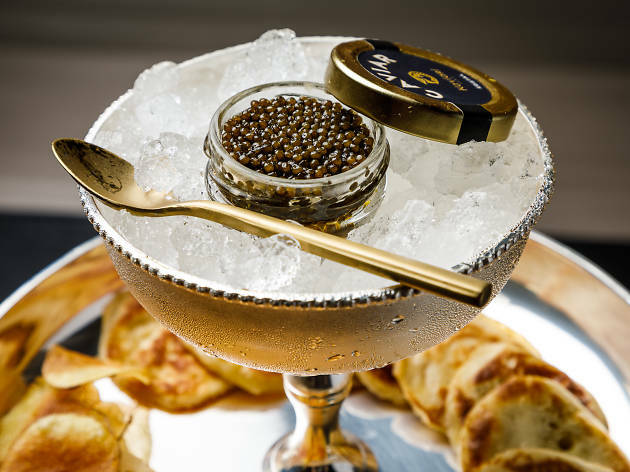 The menu includes a rotating selection of 12 to 16 types of caviar from around the globe. Pricing starts at $10 per gram and maxes out at about $145. Without being pushy, the staff is trained to encourage diners to try the delicacy. Meikle says he ditched typical accoutrements like dainty toast points and crème fraîche in favor of hearty black bread, house-made Kennebec potato chips and pickled veggies. For your first bite, try the cured eggs naked or on a single potato chip. Though Heritage boasts one of the city’s most robust selections, other newcomers are dipping their toes into the water. 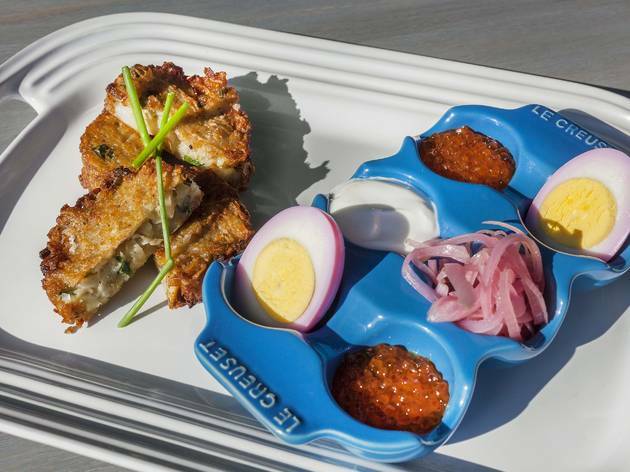 The recently opened Jewish deli Steingold’s in North Center serves its $20 roe with latkes, pickled hard-boiled eggs, pickled shallots and labna. 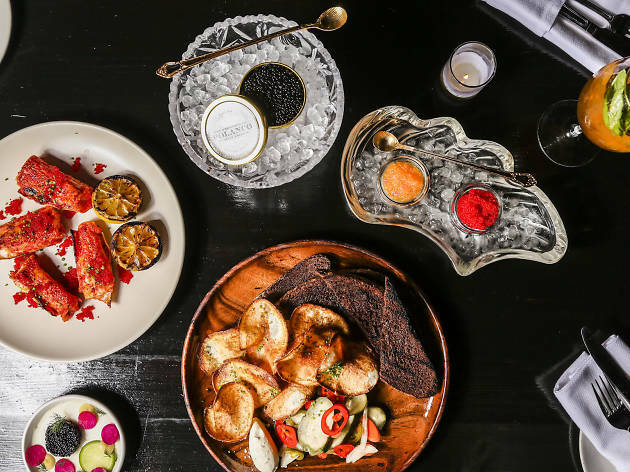 Once you get your bearings with the affordable stuff, head to BLVD in Fulton Market, where you can treat yourself to a three-tier caviar tower ($95–$220), filled with house-made potato chips and blini, chives, shallots, dill and more. 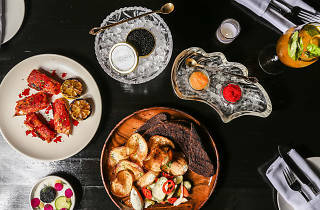 This Humboldt Park newcomer has an extensive selection of caviar, which is displayed prominently at the long, marble-topped bar on the main floor. If it's your first time, don't be shy—ask your server for a recommendation (the staff is expertly trained on the matter). Groups will want to spring for the platter, which comes with hearty Russian black rye toast, crispy house-made potato chips, pickled vegetables and a slew of additional goodies. 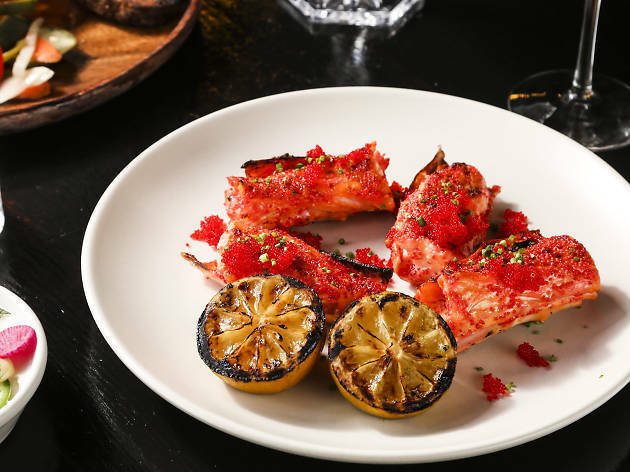 If you want to celebrate a special occasion—or any old Friday night—over caviar, look no further than this stunning Fulton Market restaurant. Forgo the seafood tower in favor of caviar service, an opulent display of fresh fish eggs and every accoutrement you could imagine. Mix and match until you find the right bite (ours was a house-made potato chip topped with crème fraîche, dill and caviar). This laid-back Jewish deli is stocked with pastrami, latkes, lox and bagels, but if you're feeling adventurous, go with the Instagram-ready caviar plate and toss in a Black & White cookie for good measure. It's a great way to try fish eggs for the first time without breaking the bank.